Honor, Huawei’s e-brand for digital natives, announced that the Honor 7X became the No. 1 Seller on Christmas on Amazon.in and because of this stellar response, the company has decided to extend the open sale for the Honor 7X till January 05. Receiving an overwhelming demand during the festive week, Honor has decided to further extend the open sale by seven more days till January 05 exclusively on Amazon.in. The Honor 7X, priced at just Rs. 12,999 (for 32GB Version) & Rs. 15,999 (for 64GB Version), was launched at an event in London and has sold over 40million since its launch in early November. 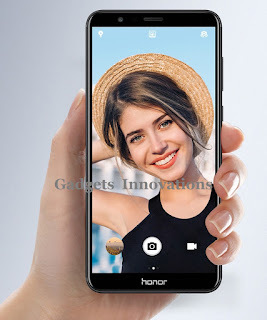 The Honor 7X offers true value for money and the attractive price tag coupled with best in class features generated a lot of attention from fans all over the globe. Honor is also proud to announce that their X-series (Honor 4X, Honor5X, Honor 6X and Honor 7X) have achieved over 40 million unit sales in the global market with the Honor 7X being recognized as the best-seller during the Christmas week sales on Amazon.in. Another testament of Honor’s success both in India and the world. Overall, Honor 7X is an outstanding mid-range smartphone, packed with advanced specifications. And now with flash sales in association no cost EMI with Axis, Bank, Citibank and HDFC Bank (Credit) the Honor brand is providing monetary benefits along with 90GB Airtel data, and 80% off on eBooks up to INR 300 on the Kindle app. *T&C apply.